The Doctor of Nursing Practice (from the College of Nursing and Health Professions) project reports. The catalogs of the university include requirements and descriptions of all programs and majors, as well as descriptions for all active courses. A list of all faculty is included at the end of each catalog. There are two collections: undergraduate (1970-present) and graduate catalogs (1963-present). The inaugural addresses of the Valpo presidents since 1925: Presidents Dau, Kreinheder, Kretzmann, Huegli, Schnabel, Harre, and Heckler. The papers of the Institute of Liturgical Studies. The Guild's mission is to enhance the student experience while exemplifying the University's ideals of scholarship, freedom, and faith. The Guild members continue to support Valpo students and are guided by a Christian purpose. These are their bulletins from 1942-2016. The Journal of Values-Based Leadership (JVBL) is an international journal, published by Valparaiso University's College of Business. JVBL strives to publish articles that are intellectually rigorous yet of practical use to leaders, teachers, and entrepreneurs and focuses on converging the practical, theoretical, and applicable ideas and experiences of scholars and practitioners. The Rev. Otto Paul Kretzmann was president of Valparaiso University from 1940 to 1968. This collection of Kretzmann's work consists of addresses, sermons, and speeches he created between the years 1921 to 1971. The digital documents can be found here, while the collection organization tool can be found here. The Lighter is a student-run university journal of literature and art that welcomes submissions from all undergraduate, graduate, and law students of Valparaiso University in any kind of prose, poetry, or visual art. Started in 1954, The Lighter represents a community of people interested in creating and discussing art. New issues are released twice a year (during the fall and spring semesters). Collection includes materials relevant to the study of the Protestant Reformation and published prior to 1830. This collection consists of Valparaiso University student projects and other works. The currently profiled annual Student Art Purchase Award gallery represents the library's permanent student art collection. This artwork exemplifies the student experience at Valpo. Soul Purpose, the liturgical drama troupe of Valparaiso University, developed original plays based on lectionary texts and suitable to serve as the proclamation of the day (1987-2009). This collection contains over 30 liturgical dramas, each freely available to read, use, and perform. The Old School Ledgers are the financial ledgers of Valparaiso University (and its predecessors Northern Indiana Normal School and Valparaiso College) and cover the years 1895-1919. It is useful for genealogical researchers looking for information on alumni who were students during that time period. The Torch is the student-published newspaper at Valparaiso University. This collection, digitized from the University Archives' microfilm and print holdings, covers the years 1914-2018. On April 1, 1949 (April Fools Day), student editors began printing The Scorch, a parody of The Torch, a tradition which continues in present day. Due to publication errors, volume and issue number order may not be correct. Editions, or pages within issues, may be missing or damaged within this collection. 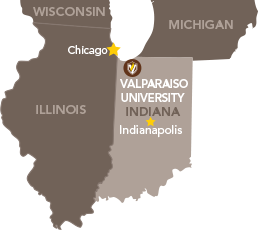 Founded in summer of 2011, Valparaiso Fiction Review (VFR) is a publication of Valparaiso University and its Department of English. The digitized yearbook collection includes annuals covering the period from the late 1890s up to a decade ago. The Valpo Core Reader collects and honors excellent writing from Valparaiso University students who have been through the Valpo Core Program the previous year. These essays address a wide variety of texts and topics and include many genres of writing, including argumentative papers, personal narratives, and more.